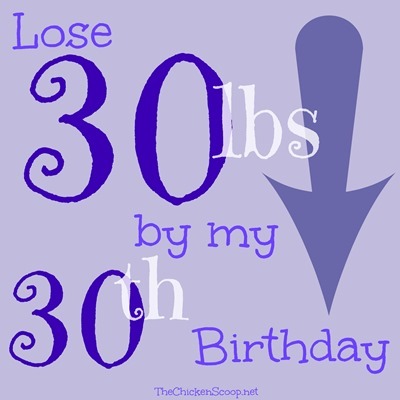 I’ve decided to try to lose 30 pounds by my 30th birthday. These are my progress updates. I forgot to weigh in AGAIN! I am 100% sure nothing has changed.. Nutrition – Eat all the things! I tracked at least 95% of everything I ate this week and it was not good. The red numbers are calories that were over my recommended range as calculated by FitBit. I was so close to a green day on Sunday! Fitness – Better but not great. *I’ve decided to report my steps if they are over 7,500, as I see that as a successful, active day. Like a baby and not too long either! It is hard to sleep in when you have to be up by 5:30. It was just not my week at all. I had a lot of work to do and nothing got done it seemed. A lot of things kept going wrong also. By Thursday night, I was ready for my week to be over! This week just felt chaotic so I’m glad it is over. I was doing really well with packing my food but crashing by the end of the day. I need better coping/avoiding/distraction methods to deal with those moments. It could also be that I am not used to the lower calorie range yet and instead of using willpower (because I’m all tapped out of it by the end of my school day), I am just giving in to hunger and cravings. I also keep forgetting that I don’t have to kill myself to get to the gym on my school days. An easy day like Wednesday with only one class and I managed almost 10,000 steps! This makes me feel a little less pressure to go on school days but more pressure to make it on my days off. Found an easy, fast on-the-go breakfast. Keep those calories lower. I can have a treat but be reasonable about it! Go to the gym on my days off. Get up earlier or prep the night before. My mornings were too rushed.